Last night was the season finale of Real Housewives Of Atlanta and everyone wants to know: Did Phaedra Parks call the feds on Kandi Burruss? After returning from her visit with Apollo, Phaedra is in the mood to do something fun and festive. She decides to celebrate the holidays by throwing an over-the-top Christmas party. I do love Dwight and his undercover shade. 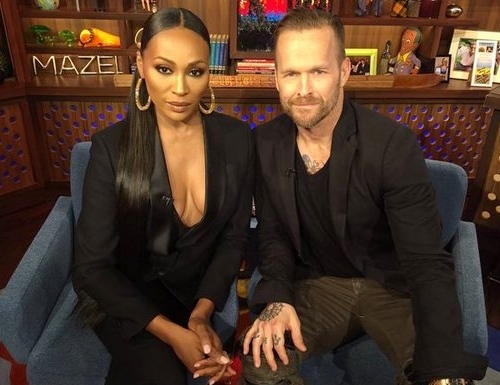 Real Housewives of Atlanta star Cynthia Bailey and The Biggest Loser host (and RHOA super fan) Bob Harper were Andy Cohen‘s guests on Watch What Happens Live last night. Cynthia talked about her marriage, the drama in Miami, her friendship with NeNe Leakes, and more. I hope our Reality Tea family is enjoying a wonderful holiday week, with full bellies, fuller hearts, and a snarky outlook for what reality shows have in store for us in 2016! Real Housewives of Atlanta has had a crazy season thus far, and it can only get more insane after the most recent installment. Proving that no housewives can take a vacation without horrific drama, the RHOA ladies getaway to Miami was anything but fun, restful, or relaxing. In fact, it was downright hard to watch thanks to Tammy McCall Browning’s nephew Glen losing his shiz and slamming his aunt to the ground while trying to get to Kenya Moore after she told him to leave. Tugging on a wig is one thing, but battery is anything but entertaining. Take note, Bravo! Phaedra Parks isn’t afraid of putting self-proclaimed new queen of delusion bee Kenya Moore on blast, and she spent some time in her blog this week doing just that! Right or wrong, Phaedra is still convinced that Kenya’s “fears and poor communication skills” turned a sticky situation into an all-out brawl in Miami. The Real Housewives of Atlanta lawyer also discusses her thoughts on the plight of black men – and specifically black youth – in this country, and why the Miami incident sparked conversation about deeper issues. From Porsha‘s twerking to the terrible edit job to Glen‘s behavior, this week’s episode of Real Housewives of Atlanta was hard to watch. (Newsflash RHOA Producers: reality TV is supposed to be fun, not exhausting!) Thankfully, both Kandi Burruss and Kenya Moore took to Twitter and Instagram to fill us in on what the edit failed to show. 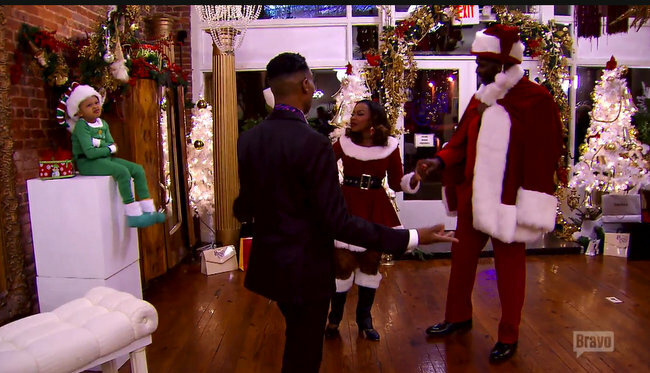 During the show, Kandi made it be known that she is on Kenya‘s side, and she asked how her co-stars could even entertain the idea that Glen Rice Jr getting physical with Tammy McCall-Browning was Kenya’s fault. Honestly I don’t know what to say about last night’s Real Housewives Of Atlanta. Sorry this is late by the way – I was re-playing the ‘Glen Gets Slammed Into The Wall’ scene on repeat until dawn. Somewhere Glen Rice Jr. turned to the very dark side. Either he’s a drunk, rude, out of control jerk; or he’s a rude, out of control jerk, but alcohol (+ Kenya Moore?) made things worse! Sheree Whitfield is gonna go ‘head and brush her shoulders off when it comes to newcomer Tammy McCall-Browning’s comments. One of the OGs of Real Housewives of Atlanta, Sheree is no novice at navigating the ins and outs of backstabbing. But when it comes to Tammy, who is “best friends” with Sheree’s ex-husband (Bob Whitfield), Sheree’s stance is basically: #AintNobodyGotTimeFoDat.